Rubber isn’t always the best option for your automotive seal. Explore the alternatives to see if you can free yourself from the restraints of rubber. 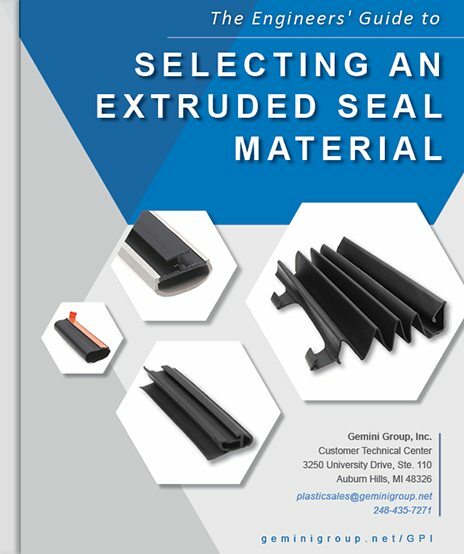 Use this seal material guide as your starting point. Simply fill out the form below and we’ll send a link to your inbox immediately! How do you know what material is best? With literally thousands of material and color variations to choose from, it can be a daunting task to determine the optimal combination for your particular seal application. If you are unsure about the best option, or even where to start with the selection process, we are here to help. Gemini is proud to present to you the culmination of over 45 years of experience in extrusion. We’ve helped thousands of automotive engineers just like you with material selection and profile design – and this guide truly is the next best thing to working directly with our seals team. So, what are you waiting for? Dive in!